The Danner Light Sherman is our most recent collaboration with our long-time friends, Tanner Goods. Combining unmatched comfort and Oregon craftsmanship, the Sherman boot is our most versatile boot to date, and fits well with any lifestyle, in any environment, day in and day out. 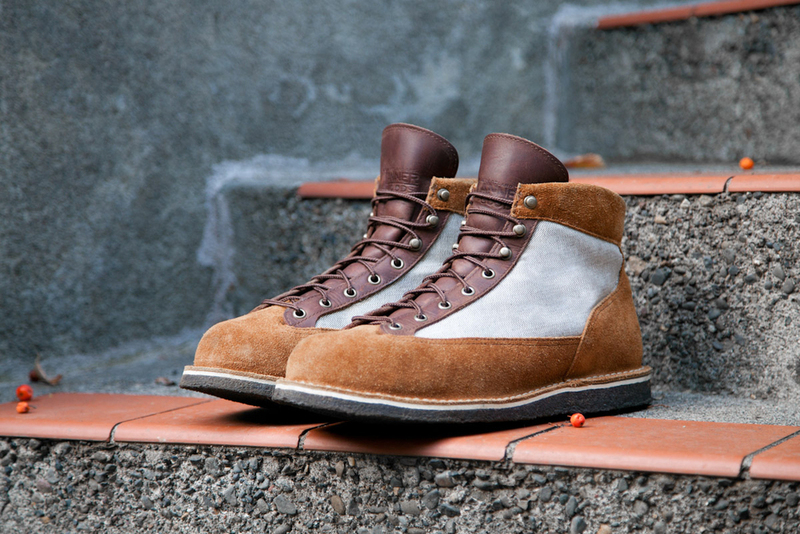 Each year, Tanner Goods names our collaboration boot after a geological location in Oregon. This year, they decided to travel back to their hometown of Sisters, OR, to nearby Camp Sherman. Camp Sherman is a small community located in Central Oregon on the Metolius River. Come Summer time you will find a few of the Tanner Goods crew in the Camp Sherman area, with their fly rods in tow or sipping on a few cold ones around the campfire. As functional in the outdoors as it is comfortable walking around the city, the Sherman is limited to 300 pairs, exclusive to Tanner Goods.